Your Tampa Bay area Lawyers at Laporte, Mulligan & Werner-Watkins regularly handle the following criminal defense areas. Laporte, Mulligan & Werner-Watkins, P.A. has been providing quality legal representation to people charged with criminal violations since 1980. Our Tampa Bay area criminal lawyers previously served as prosecutors for the Sixth Judicial Circuit, and have an incredible array of experience handling matters from ordinance violations all the way up to capital cases. Laporte, Mulligan & Werner-Watkins provides free initial consultations on criminal cases. Free consultations are always available for new clients at our office in Port Richey, Florida. During that time the nature of the charge(s) and the complexity of the case(s) will be discussed. You will only owe us a fee if you decide to retain us to represent you. The amount of the fee is dependent on many facts and circumstances, but you will be quoted a reasonable fee during the free consultation. You can then decide if you wish us to handle your matter or not. The most important thing you can do if you are arrested is to contact us as soon as possible. The best time to get charges dropped or reduced is before the State makes a decision on what, if any, charge(s) to file. This is the time for us to present witnesses and evidence of your side of what happened. Many criminal charges are time sensitive such as DUIs. 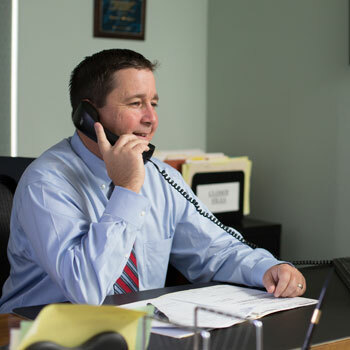 We will let you know your rights, the law and what you can expect through the entire process. The more you understand, the less frightened you will be of the process. Any crime which is punishable by no more than one year in jail is a misdemeanor. Misdemeanors are not as serious as felonies, but can still create major problems including time behind bars. In addition to your freedom being at stake, you could be placed on probation, you could lose your Driver’s License and you could have to attend court ordered counseling. In Pasco County, all misdemeanors are reviewed by an Assistant State Attorney before a filing decision is made. The quicker we can present evidence to the State the better the potential outcome for you. Our Tampa Bay area lawyers previously served as prosecutors for the Sixteenth Judicial Circuit, and have an incredible array of experience handling matters from ordinance violations all the way up to capital cases. Laporte, Mulligan & Werner-Watkins provides free initial consultations on criminal cases.